Acai Berry Flavor has a distinct aroma and sweet taste like the berries itself. The superiority Natural Acai Berry Flavor is infused in a wide variety of treats to create a fantastic flavor experience. 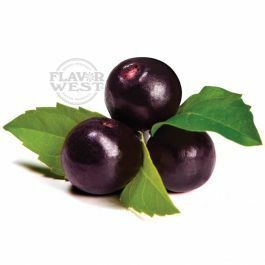 Type: Acai Berry Water Soluble Flavoring. Ingredients: Natural and Artificial Flavoring Ethanol and Propylene Glycol. USP Kosher Grade Flavoring. Usage Rate: 15-20% for E-use. Flavor suitability: Drinks, Desserts, pastries and baked treats, yogurt, ice cream, candy and more. Specific Gravity: 0.97 No Refunds on Flavoring.